Oak is oak is oak – right? Nope, when it come’s to wine it’s not. I recently experienced the influence of oak in wine as presented by Nederburg’s red-wine maker, Samuel Viljoen. Did you know that oak is the only permitted flavour altering additive in wine? And so it is imperative that as a wine maker, you understand the influence of oak in wine during the wine making process as it will ultimately determine the quality and taste profile of the wine you produce. Without getting too technical, there are many ways to slice the pie, and for wine, the same goes for oak. So how many ways can you split it? To explain, Samuel let me taste three red wines – each of which had a different oak influence and so I had to match each wine to the oak influence. They were all Cabernet Sauvignon but all very different – and the difference was the influence of oak in wine – Eastern European, American, Medium toast French and Intense toast French. I could quickly pick out which was which and so this made it super confusing for me because they are all the same wine but oh so different. 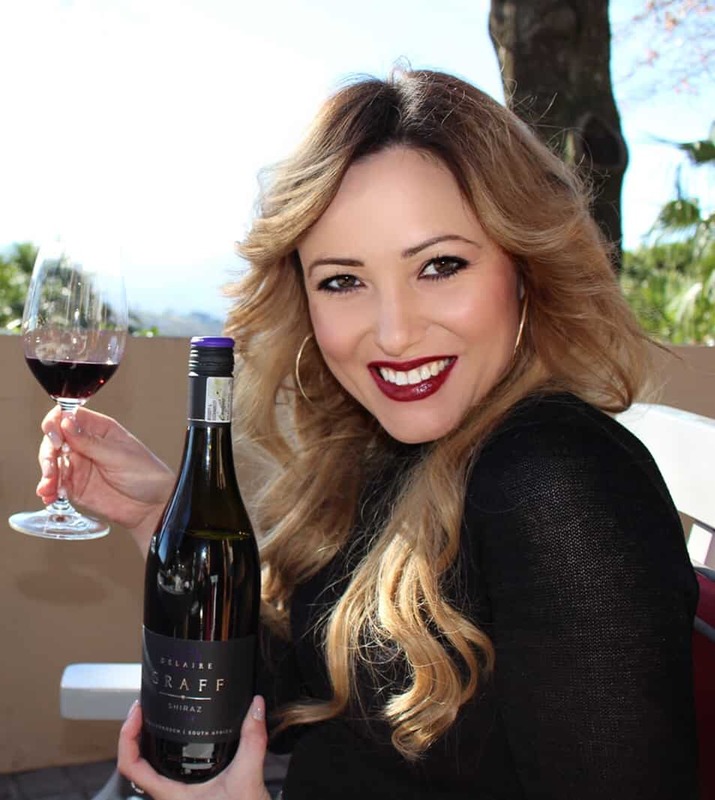 “We set out to give the audience a sense of what being a winemaker is like, while imparting knowledge of the impact of different types of wood used, time spent in barrel as well as frequency of barrel fill. 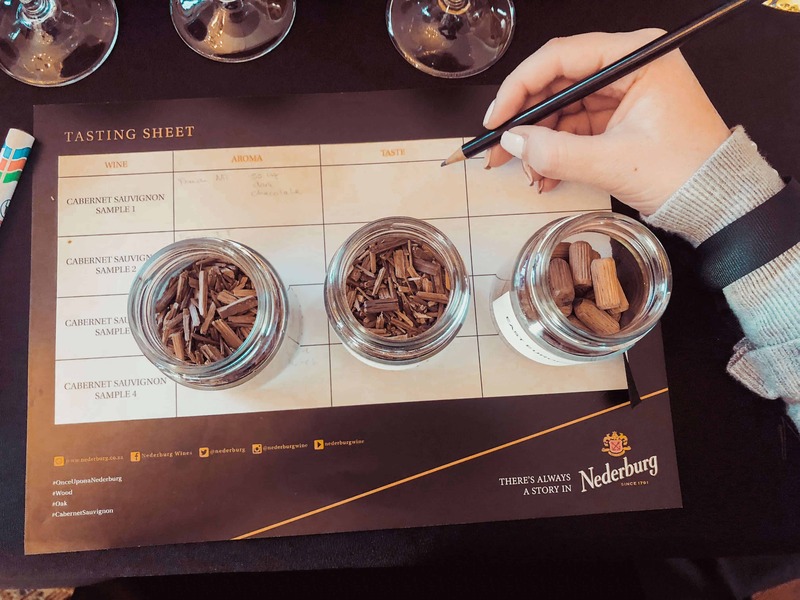 The blending of various Cabernet Sauvignon wine components to make up a final ensemble seemed to really drive the point home that winemaking is not for the faint-hearted!” says Patrick Kutumane, Nederburg’s SA brand activation manager. And so I did just that, blending to my heart’s content and creating a wine that I enjoyed. My palate leaned towards a dominant Eastern European oak influence as I enjoyed the sweet and spicy taste with well structured tannin. I proceeded to taste eight oaked red and white wines as presented by Nederburg, each tastefully matched with a delight of tapas. I must say that before really getting to know the full portfilio of Nederburg wines, I thought meh, it’s only Nederburg but today, my perception has completely changed. Here are a few I really enjoyed. The Brew Master is a Bordeaux-style blend of Cabernet Sauvignon, Merlot, Petit Verdot and Cabernet Franc that commemorates Johann Graue, who took over at Nederburg in 1937. Photography by Annène van Eeden. A wooded Sauvignon blanc, made from cool-climate vines, pays homage to Johann Graue’s son, Arnold. Photography by Annène van Eeden. Ingenuity is Nederburg’s platform for innovation and houses exciting new blends combined in interesting new ways. This white blend has 8 varieties, Sauvignon Blanc lead. Ingenuity is Nederburg’s platform for innovation and houses exciting new blends combined in interesting new ways. Three Italian varieties: Sangiovese, Barbera and Nebbiolo. One of the South Africa’s most distinguished names in wine, Nederburg has an exceptional track record for international and local awards, trailblazing innovations and refreshing, contemporary wines that combine rich fruit flavour with superb structure. The winery is especially well known and respected for its enviable reputation for excellence in the making of Cabernet Sauvignon and dessert wines. This year, Nederburg featured in the esteemed ‘World’s Most Admired Wine Brands’ top 50 list by Drinks International, for a third consecutive year and so it was an honour to be tasting the wines. And in 41st position, Nederburg is the highest placed of the three South African wineries featured on this year’s list. 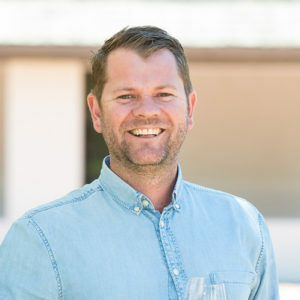 I was graciously hosted by Nederburg’s red-wine maker, Samuel Viljoen, assistant red-wine maker, Heinrich Kulsen; white wine-maker, Elmarie Viljoen and recently appointed assistant white-wine maker, Jamie Fredericks. Thanks for sharing your knowledge and experience when it comes to the influence of oak in wine. Nederburg’s red-wine maker, Samuel Viljoen, The Wine Girl Cape Town and assistant red-wine maker, Heinrich Kulsen.